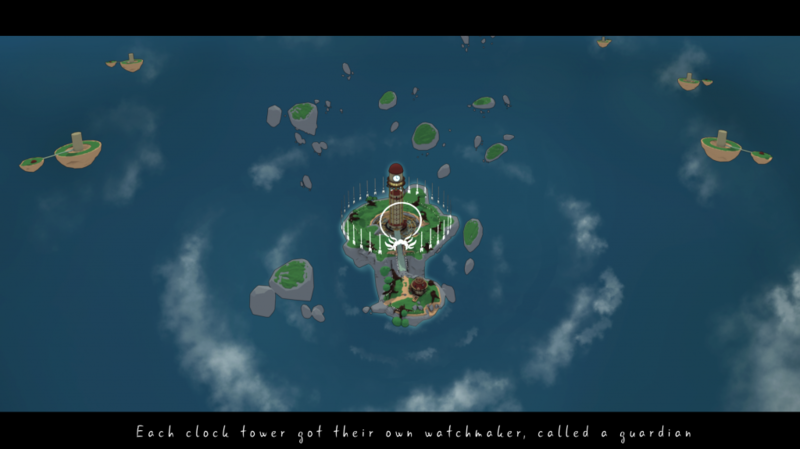 Chrono is a Point and Click Adventure where the player is a clock repairer. After an accident where a clock tower breaks down the player have to reach the top it and repair the clock. The game consists of a number of varied mini puzzles. The player can pick up items, combine them and use them on the environment. The game also have a layer system where the player could manouver with to buttons how far into the room the player wanted to go. On each layer puzzles and items would be available. Gameplay and mini puzzles took inspiration from Myst and Year Walk. Rooms consisted of layers where the player could go further into the room. Walking between the layers. From the start we wanted to have a atmospheric, story driven Point and Click game. We wanted to make the player feel isolated and lonely, the player was the only one that could solve the problem of the broken clock tower. We wanted to have a unique game where the Graphical artist and the Level Design team would corporate to create a unique art style and unique mini puzzles. We wanted to create a game where the player would have to discover and figure out something new in every room. We went with the design idea that what the player think is fun is to discover and figure out how objects behave and puzzles are solved. Establish that the player was clock repairer. 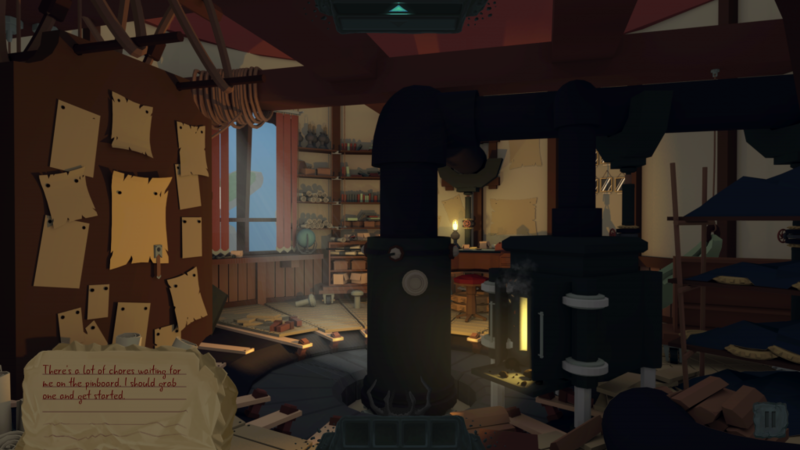 The first thing the player got to do in the game was to repair a broken pocket watch. And just after the player achieve this. There was a cinematic where the clock in the large clocktower breaks down. We thought this was an effective way to tell what’s going on in the world and lead the player to what their role in the game was. I took the reign of adding sounds and music to the game. This was something i really enjoyed. I pushed to find music and atmospheric sounds that would fit the lonely feeling the player should feel. All the sound where hardcoded into the game by me. Where i would look through the code and finding the line where the sound should be played. I didn’t create the sound myself, but found them on Freesound.org and used the ones i was allowed to. Some editing was made in Audacity. People liked the visual style and story in the game. But some of the puzzles where to hard to figure out and in a later stage we added some explanatory text that described to goal for the mini puzzle and more about the features in the mini puzzles. The design philosophy that the player should discover things in the game was very interesting to level design with. But i think we went to far and made the puzzles to vague. Because we had so different mechanics and features in each mini puzzle it was hard for the player to learn and discover some of the mechanics. 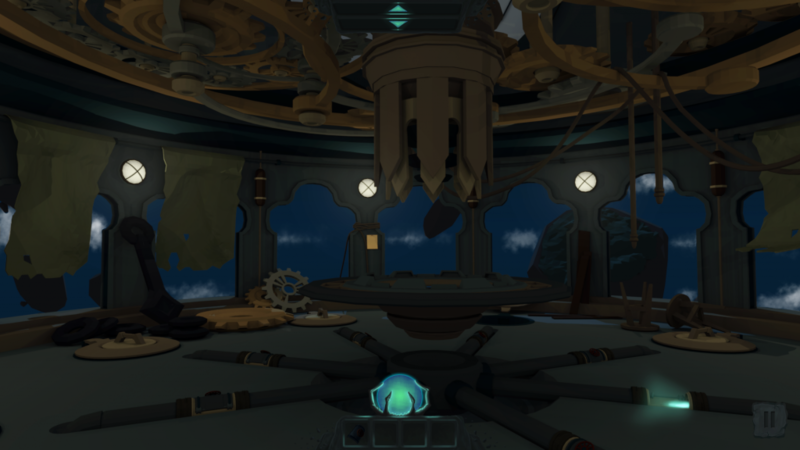 A example was that some puzzles had the feature of rotating objects, but another puzzle didn’t have that, but the players would still try to do it instead of learning the new puzzle feature. 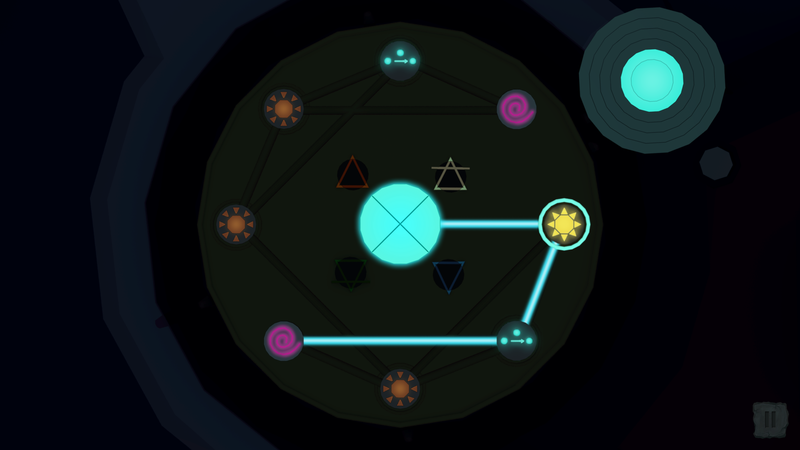 If we were to have mini puzzles with so different features and mechanics we would have pushed more to visualize the new mechanics.